We are leading manufacturer and exporter of Tawa (Concave) and our product is made up of good quality. 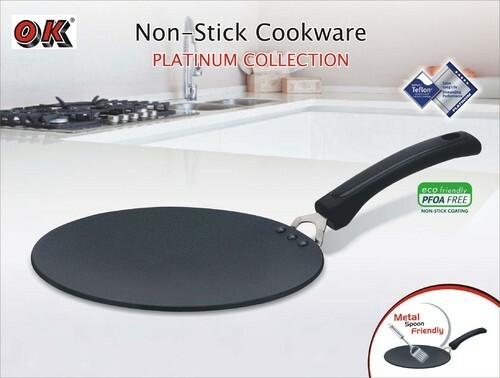 The offered tawa is designed and crafted using supreme grade carbon steel or aluminum materials along with fine glass material for the transparent lid. This tawa is made available in various sizes starting from various sizes. The thickness of the version of the tawa is 4.0mm. Provided tawa is widely used in modern kitchens and hotels.